If your dream day begins by waking up at 3 a.m. on your day off, just so you can hit the river by 6 a.m., you aren&apos;t alone - you are a salmon angler and right now, the place to be is on the water, chasing king salmon as they enter Mat-Su Valley streams. King salmon fishing has been fair to average in the Mat-Su Valley the last few weeks, with the season about halfway complete. The best spots to fish for these giants include the Little Susitna River, the Deshka River, the Parks Highway streams (Willow, Little Willow, Sheep) and the Talkeetna River. Due to Alaska Department of Fish and Game emergency orders, however, retention is only allowed in the Deshka and Little Susitna rivers at this time. The Deshka River is accessed via the Susitna River, and you need a boat to get there. The best fishing has taken place at the confluence of the Deshka and the Susitna, but don&apos;t expect to find solitude even if you find the kings - the area is filled with other boats all in search of kings as well. Other anglers have had success upstream of the confluence in deep pools, where the kings are holding. You better get there early though - the best chance for success is right at the opening at 6 a.m. each morning. Hiring a guide greatly increases your chances, because they are on the water every day and know what is working best. The Little Susitna River is another choice for anglers looking to keep a salmon fillet, but lower concentrations of kings have been measured in Alaska Department of Fish and Game weirs. According to ADF&G, about a quarter to a third of anglers have caught fish in the Little Sustina. For those who aren&apos;t concerned about retaining a salmon they catch, the Parks Highway streams are perfect because of their accessibility. You can park at the Parks Highway bridges and fish downstream to the mouths, but only single-hook, artificial lures are allowed at this time. 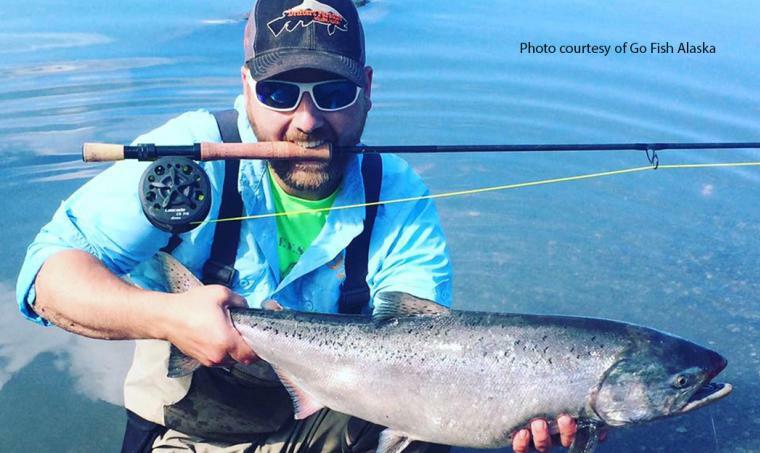 You can&apos;t retain any of the salmon you catch, but catch-and-release fishing is open. Following the king salmon season the second week in July, sockeye salmon will show up in limited numbers, followed by pink, chum and silver salmons. Make sure you check out the current ADF&G regulations here before you head out fishing. If you want to avoid the crowds and still have a fun day fishing, consider one of the many Mat-Su Valley lakes that are stocked by ADF&G. The Matanuska Lakes area and the Nancy Lake State Recreation Area are both good bets to catch fish, and are easily accessible.